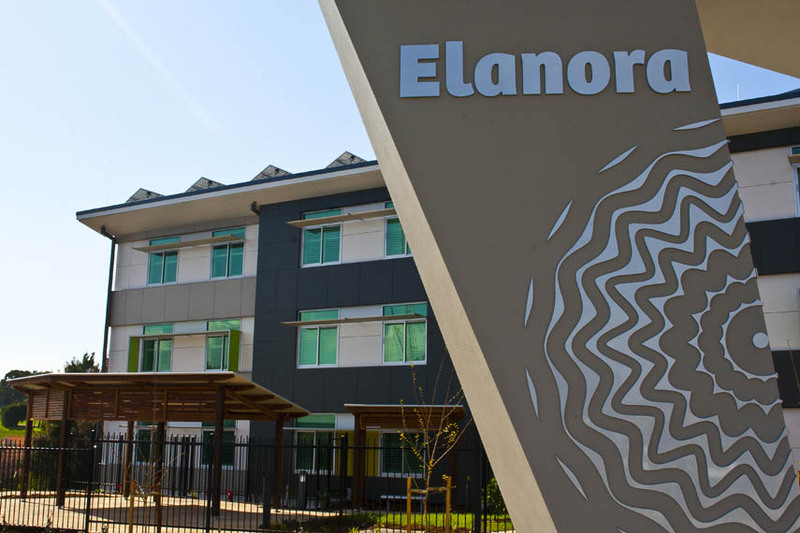 Elanora is a 100 bed aged care facility, providing eighty low level care rooms and twenty high level care rooms and is situated directly behind the Stockland Shellharbour shopping centre and close to Shellharbour Hospital and other health services. All rooms are private single bedroom plus ensuite. 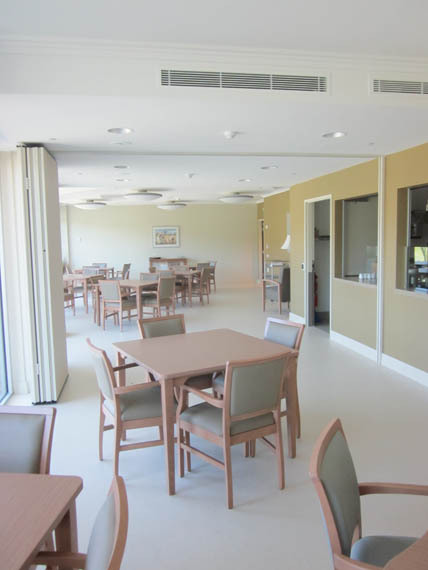 In each household of 20 rooms there are common neighbourhood spaces including lounge areas, dining and activity rooms and guest visiting areas. 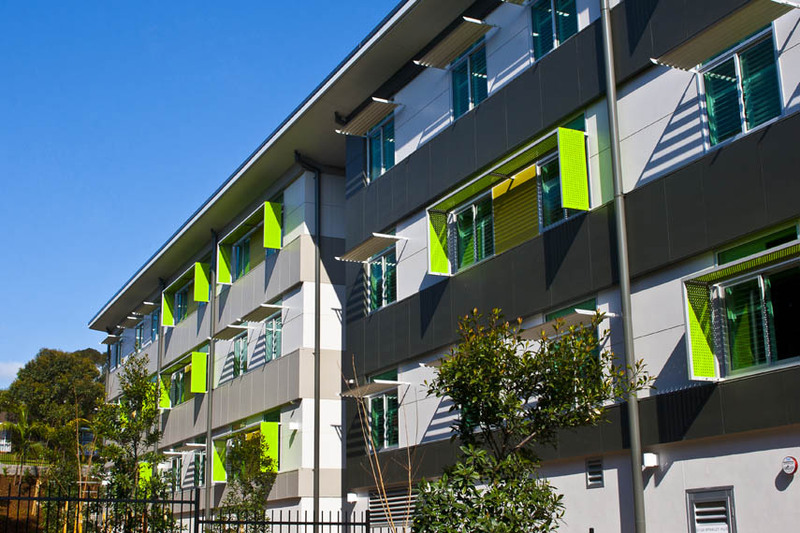 The building incorporates some of the latest features in environmentally sustainable construction ensuring it has an optimal thermal mass and is as energy efficient as possible. 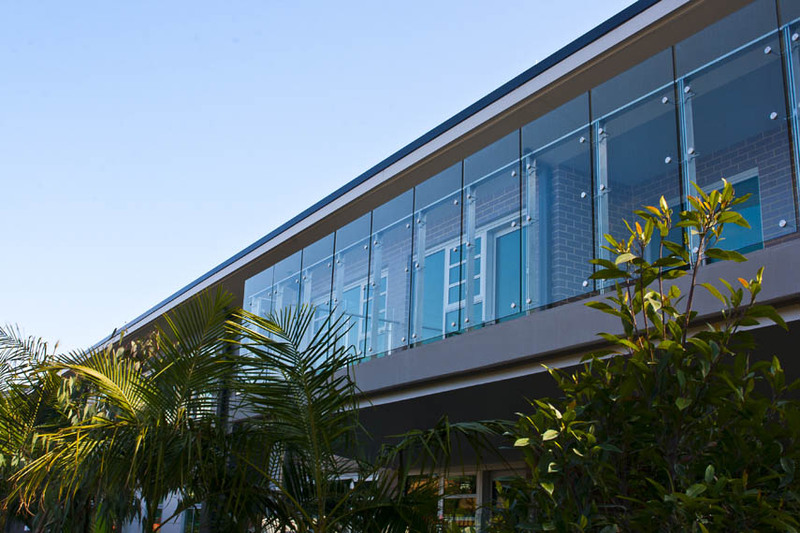 The core temperature throughout is maintained more efficiently by the use of double glazed performance glass windows, increased roof insulation and reverse brick façade which in turn reduces the amount of power required to run the air conditioning system. 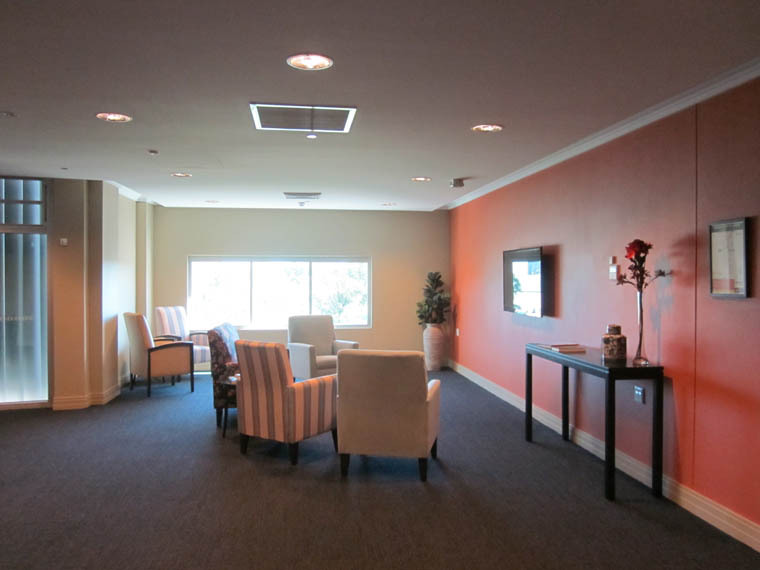 This reduces the energy costs significantly and improves the comfort for both residents and staff alike. 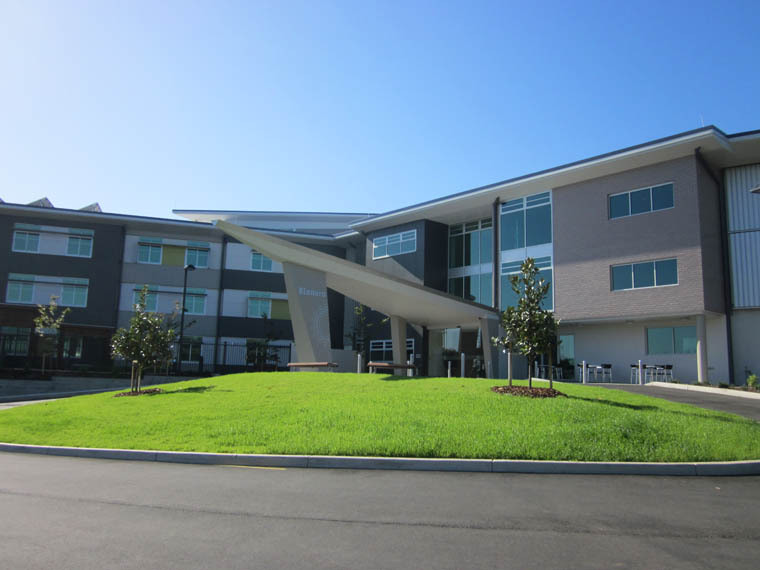 This is further enhanced by the use of a mono draft system on the rooftop which measures the outside temperature and uses fresh air to ventilate the building and provide free cooling to supplement the air conditioning. Additionally, solar power panels on the roof produce power for heating of the building’s hot water requirements and feeds power back into the grid, whilst rainwater is used to flush the toilets and irrigate the gardens, saving thousands of litres of water every year.